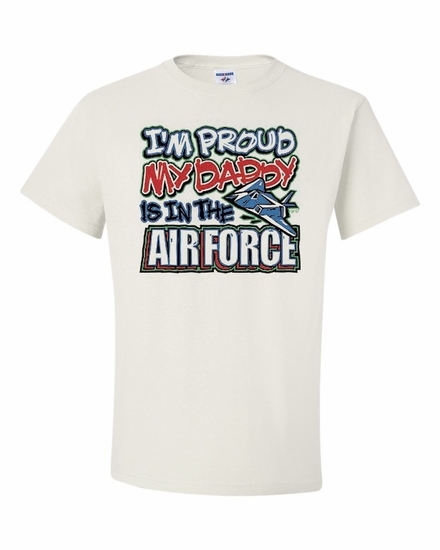 Your son or daughter will be happy to wear their I'm Proud my Daddy is in the Air Force T-shirt or sweatshirt. Team it up with a I'm Proud my Daddy is in the the Air Force mug for their favorite hot beverage. 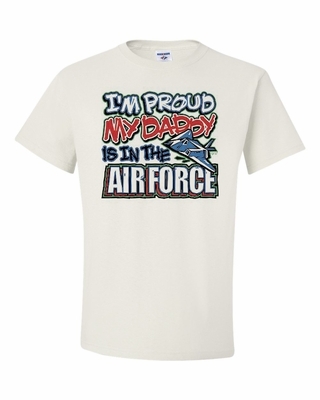 Remember� you found the I'm Proud my Daddy is in the the Air Force Shirts at TShirtHub.com, where high quality came at a low price.